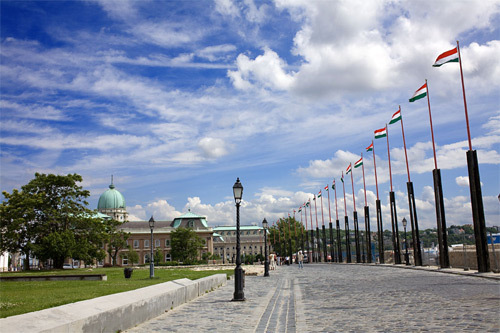 The photo depicts the entrance way to Buda Castle in Budapest, Hungary. The castle itself can be seen on the left. It was taken by Alessandro Grussu on 3rd June, 2007.